your business isn't a dime a dozen. the gifts you give shouldn't be either! You work extremely hard to deliver the best products and services, so you're not about to settle for a mediocre business gift when you could continue to wow and impress with a present that truly stands out. Finding that present though has turned out to be trickier than you thought. You're not sure where to look to find something really creative and special. So each time an occasion comes up you frantically start paging through those business gift catalogues you never much liked to begin with. Next step: Googling business gift ideas for two hours straight only to get page after page of suggestions that feel stale and impersonal. But the clock is ticking, so in the end you just cave and order a so-so gift that doesn't represent who you are, and doesn't really show that you understand and appreciate the person you are buying for. 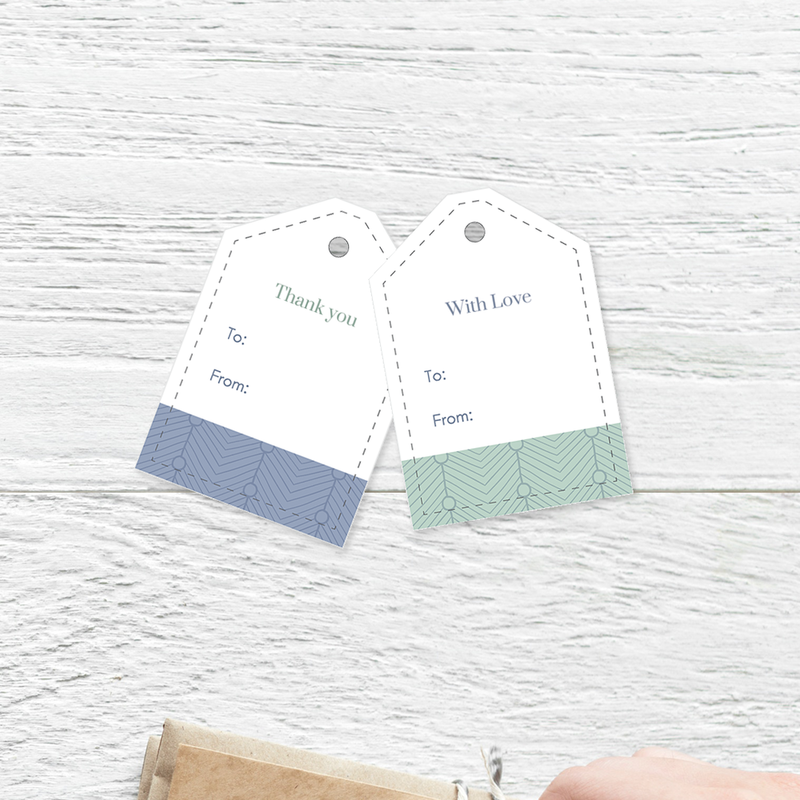 what if there was an easier way to wow your client with a personalized gift? Imagine how much time you'll save having someone else figure out the gifts for you. And the peace of mind that comes with knowing that every single gift is infused with your own personal touch which not only guarantees you'll stand out, but also tells your recipient loud and clear that you genuinely value your business relationship. Finding the right business gift that says exactly what you want to say is more than checking something off your to-do list. Business gifts are a particularly efficient tool to express appreciation, stand out from the competition, create goodwill and long-lasting relationships, retain existing customers and attract new clients. The perfect gift goes a long way to meaningfully move forward any business relationship. And the return on investment is significant: giving a gift is a small gesture, but if it results in continued work and new business that is huge. So no matter if you're a solo entrepreneur with a tiny budget or you're running a large company with unlimited resources, you can't afford to not think about business gifts. But what if picking wonderful gifts with that all-important personal touch isn't your strong suit? Or you or your team just don't have the time to sort through a ton of options? That's exactly what business gifts made easy is for! Imagine receiving three personalized gift suggestions for each person or occasion you are buying for, and thinking “there’s no way I could have found these on my own.” All you need to do is decide which ones you like best, and order the spot-on gifts online. I never use algorithms, nor I am affiliated with any particular store or brand, so I’m entirely free to pick only those items that suit your recipient to a T. A unique gift that builds genuine connection doesn't have to cost an arm and a leg either. Standing out and be noticed with a quality present is possible at any budget. So say goodbye to feeling overwhelmed. It’s a reassuring feeling, knowing that from now on every business gift will be memorable and have that warm personal touch that both strengthens relationships and helps you move your business forward. All you need to do is fill out this short questionnaire to let me know what you need, and you are well on your way to becoming a business gift giving hero! "Inge helped me find the perfect gift for my clients to celebrate the culmination of our work together. She presented me with a variety of professional and creative options in a format that made it easy for me to move forward quickly and simply. When my clients received their gifts, they were touched by how personal and meaningful they were. I'm so pleased that I have a tailored gift up my sleeve that represents my brand—I know it will help me to cultivate client relationships and build my business through authentic referrals." “Finding stuff” has been an unofficial yet key component of my job description throughout my entire career. In my 17 years of working as an independent translator and editor, specializing in fashion, food, travel, books, and lifestyle, there wasn’t a day that went by without my having to research new topics and dig up information to get the job done. As senior editor and writer for the style website YouLookFab I’ve helped scores of readers over the last 6 years find clothing and accessories they had a hard time tracking down on their own. All you need to do is let me know who you are buying for, fill out the short questionnaire, and you are well on your way to being a business gift hero. I am ready to be a thoughtful business gift giver! "Inge provides tailor-made and truly thoughtful gift ideas for any budget. If you're battling to find a fabulous gift for someone, or simply need more ideas, give it a try. I think of myself as a pretty good gift giver, yet Inge suggested items I wouldn't have come up with on my own. Fun, practical, and delightful." "One of our editors was retiring, and I wanted to express my personal appreciation with a special present. J. is a book lover, and a passionate gardener who specializes in growing ancient fruit trees. He was planning lots of outings after his retirement, wanting to show his only grandchild the world. ‘A gift voucher’ was the best I could come up with - rather unimaginative. Inge totally surprised us by suggesting a recently published book featuring the 100 most remarkable trees in Belgium, with lots of info about walking and cycling routes to visit them: J. 's two passions combined in one precious gift. In the 12 years we'd been working together, I’d never seen him so genuinely delighted. Thanks Inge for a priceless moment!"